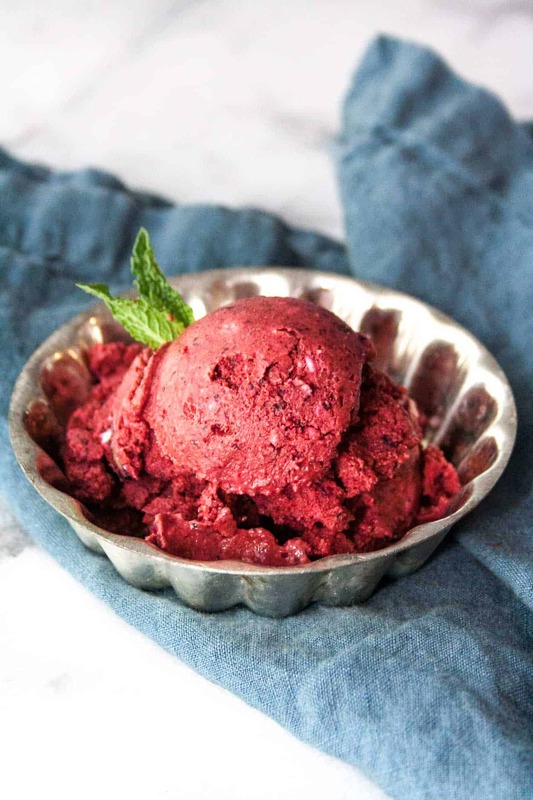 This vegan triple berry ice cream is the sweetest treat to usher in Spring! There is no need to pull out your ice cream maker (or your heavy cream) to make this easy, delicious, spring dessert! Because it’s technically spring, April is next week, and I’m leaving sunny, warm, gorgeous Arizona today, we’re having… ICE CREAM. Well vegan ‘ice cream’, that is. Yep, you heard me right. VEGAN ice cream. That means no cream, no half and half, no eggs. And also no sugar – not that sugar would affect the status of ‘vegan’, but I think it’s important to note. 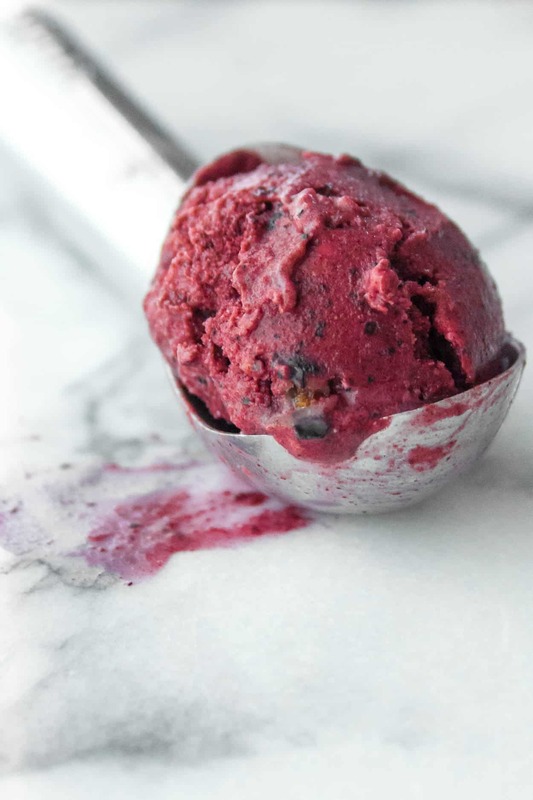 The base of this no-churn ice cream is frozen berries and coconut milk. And a sprinkle of salt for balance. But that’s it. The ice cream ends up being tart and creamy and the perfect sweet treat to end the day. Just give the mixture a good blend in a high powered blender and you are all set! I used my Vitamix (affiliate link) and it came out perfect. I know the Vitamix is an investment, but I can honestly say is the best kitchen tool I own! You could easily serve this on Sunday for an Easter dessert. And it’s 100% healthy enough to be eaten for breakfast too, which I am ALL about. 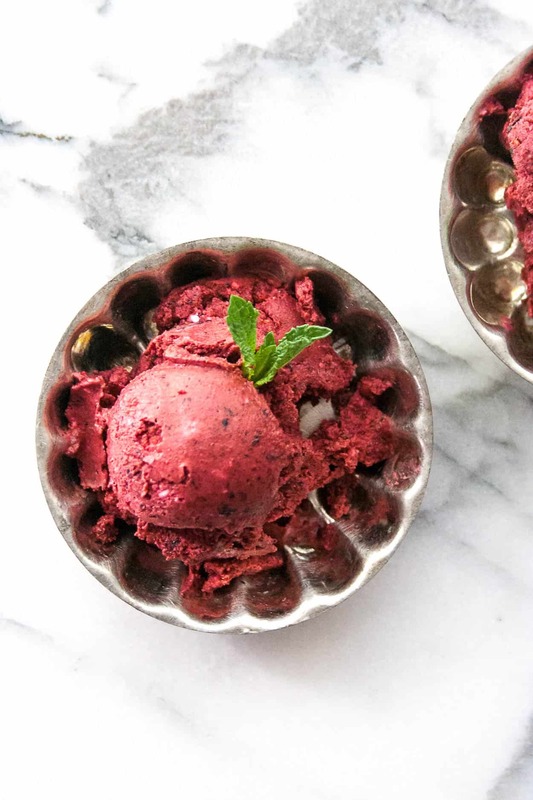 Make sure you check back next week – I’ll be using this vegan triple berry ice cream in a fun new recipe! 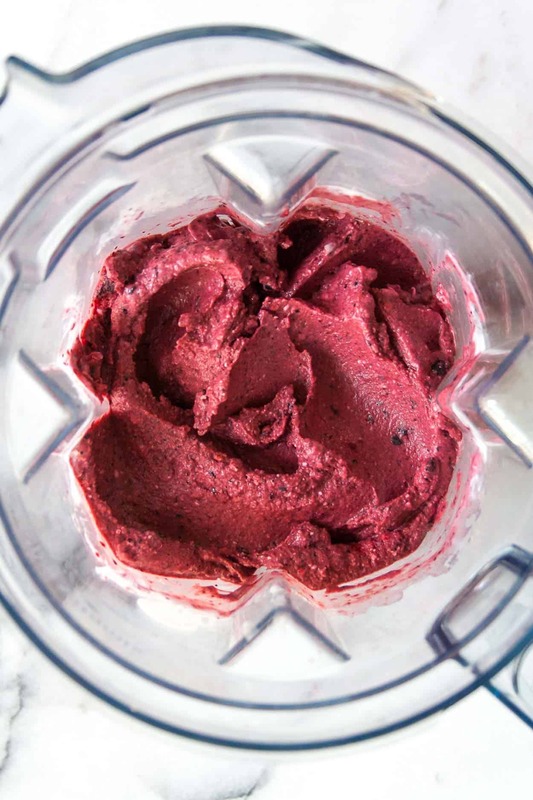 Make this Vegan Triple Berry Ice Cream and post a picture on social media using the hashtag #imhungrybynature for a chance to be featured! 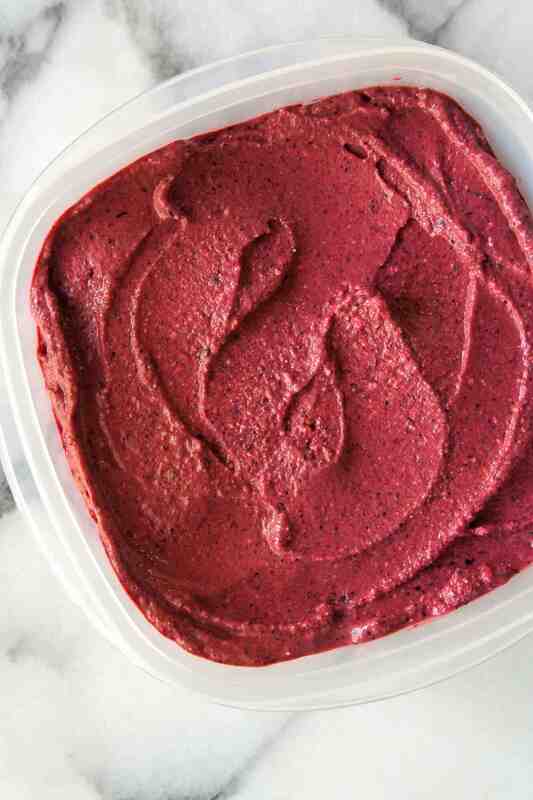 Freeze ice cream in a container until set – this will take a few hours. Remove ice cream from freezer for 5 minutes to soften before serving. 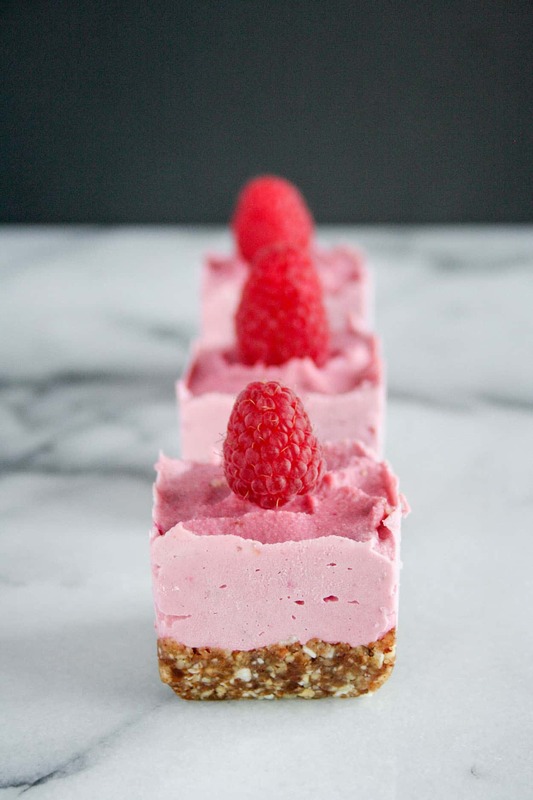 Looking for other spring dessert recipes?! 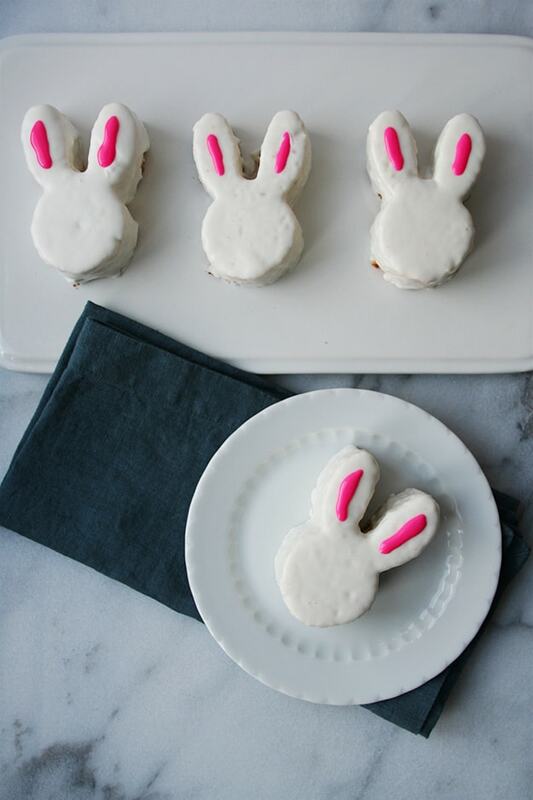 Here are a few of my favorites that would be perfect for Easter!